Hire The Toy Barn as a unique children’s parties venue in Sherborne, Dorset. 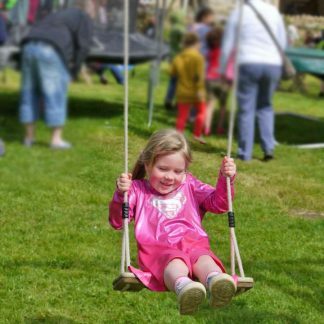 At a Toy Barn party, children can play on the climbing frames, swings, slides and trampolines and race against friends on our pedal-powered Go-Karts in our orchard. A private children’s party at The Toy Barn is £75 per hour for an Orchard Children’s Party. Orchard Children’s Parties work for all ages, from 1yr old upwards. Many parents stay to play with the children as the orchard is pretty. The Go-Karts are best from the age of 5yrs + and can take any size child as well as most adults. The Go-Karts are fun for all kids big and small. All go-karts have adjustable seats , a hand break and reverse gear. The go-kart track is set in our Orchard and is ideal for racing friends and family while being cheered on by other party goers. Bring your own food or we have a BBQ you can hire. We do not charge corkage. Have a garden party for your child’s birthday and have a fab day out.